Professional sales, marketing, technical support and relationship-building services for biotechnology, biomedical, environmental science and informatics companies. We specialize in representing innovative companies who have created great scientific products and research services, but have limited sales and marketing resources of their own. Call Lab-Ally today to get your product noticed by the scientific community. Is your research stuck? Do you need some critical, hard to find resource to make progress? We assist life science companies and academic research organizations by locating diverse, hard to find materials, tissue samples, laboratory expertise, data tools, CRO partners and more. One of the greatest challenges in collaborative research is the accurate collection, secure storage and insightful interpretation of diverse data types. Lab-Ally has the expertise to help you build a solution using a suite of hand picked software tools and partners. Ideas. Data. Patents. Testing. Validation. Compliance. Can your organization pull all of these things together into a comprehensive R&D strategy? How will you find the partners you need to integrate science, business and legal processes? Talk to Lab-Ally today to see how we can help. RSpace is the only ELN designed specifically for enterprise deployments at Universities. The product builds upon its proven predecessor called eCat, which is used widely in Europe and the US. RSpace features robust, scaleable architecture and modern product design, with input from premiere universities and technology transfer organizations. The system allows PIs to easily see all research under their supervision, and is simple enough to ensure rapid adoption by even the most technophobic lab staff. It is also highly affordable. Call now for a free demo. Manage your full inventory of research specimens easily in the intuitive, flexible, customizable eCAT Sample Management solution. Track samples or aliquots through their life cycle in the lab, see relationships between parent samples and daughter aliquots and combine or separate samples on the convenient virtual workbench. Create labels with built-in barcoding and understand the full usage history of everything in your lab. 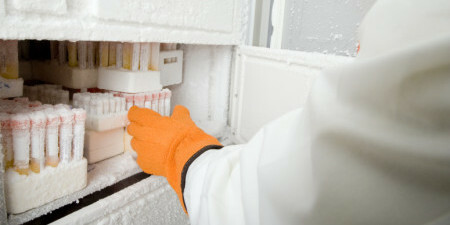 eCAT even notifies you about common events such as expiry, freeze-thaw counts, or low quantity, to keep your laboratory running smoothly and efficiently. While many Electronic Laboratory Notebooks (ELNs) share the same basic functions, each has different strengths. The first ELNs were designed to meet the 21CFR11 compliance needs of big pharma and the biomedical field, but now there are also ELNs designed for simple and affordable deployment at universities, and budget-conscious institutions. Our years of industry experience can help you select and deploy the ELN solution that's right for your organization. CERF 5.0 (Collaborative Electronic Research Framework) ELN is the award winning, 21CFR11 compliant, ultra-long-term lab data and document management system from Lab-Ally. CERF ELN is a secure enterprise solution that catalyzes research and allows GLP organizations to enjoy the benefits of a paperless LIMS, LIS, EDMS and ELN in a single solution. Extremely flexible, including a wide range of features and modules, CERF is designed specifically to address modern ALCOA research data management challenges so you can do great science.